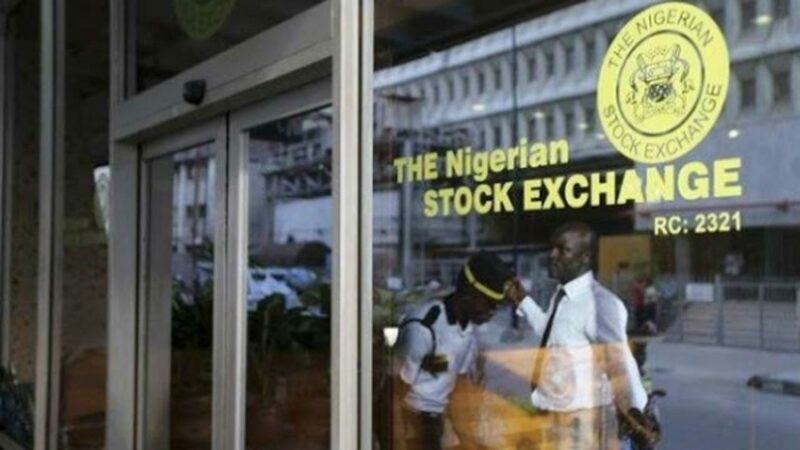 Sustained inflow of funds witnessed in the equity sector of the Nigerian Stock Exchange (NSE), occasioned by huge demand for stocks by the investing public, last week, caused the All-share index to soar by 10.2 per cent. 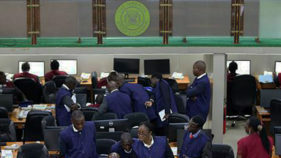 At the close of trading last week, the All-share index, which measures the performance of listed firms jumped by 3,975.6 points to hit nine-year-high last Thursday, a level last seen in October 2008, after local and foreign funds bought shares across several sectors from 38,923.26 recorded on Friday, January 5, 2018, to 42,898.90 last Friday. 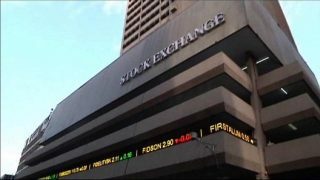 Similarly, the market capitalisation of listed equities, which stood at N13.851trillion when the market closed for transaction same day, rose by 9.9 per cent to close at N15.368trillion on Friday. Also, the volume of shares traded rose significantly, as a turnover of 5.021 billion shares worth N68.974billion were recorded in 41,542 deals by investors on the floor of the Exchange, up from a total of 2.417 billion shares valued at N18.813billion that changed hands in 20,874 deals during the week ended January 5, 2018. Analysts at InvestData Limited, urged investors to take a position and invest in value equities especially with the expectations of dividend payments, as quarterly and full year score-cards of companies are expected to be in the market any moment from now. “However, we would like to reiterate that investors should go for value equities, especially during this season that dividend payment is approaching. We advise investors to allow numbers guide their decisions, while repositioning for the rest of the year’s trading activities, especially now that stock prices remain volatile amidst improving company, economic, and market fundamentals. A breakdown of activities last week showed that Honeywell Flourmills topped the gainers’ chart for the week, adding 39.68 per cent to close at N3.52 per share, while Skye Bank followed with 37.70 per cent to close at N0.23 per share.Champion Breweries added 36.57 per cent to close at N2.95 per share. Sterling Bank garnered 35.46 per cent to close at N1.91 per share. Diamond Bank gained 34.39 per cent to close at N2.54 per share. Eterna Oil appreciated by 34.15 per cent to close at N6.60 per share. Conoil added 34.04 per cent to close at N39.41 per share. First City Monument Bank added 33.68 per cent to close at N2.54 per share. Cement Company of Northern Nigeria gained 33.40 per cent to close at N13.26 per share. Unity Bank also added 32.26 per cent to close at N0.82 per share. However, Meyer Plc led the losers’ chart with 12.86 per cent to close at N0.61 per share. GlaxoSmiith Kline followed with 2.71 per cent to close at N21.50 per share. Dangote Sugar lost 2.65 per cent to close at N21.27 per share. UACN deprecated by 2.28 per cent to close at N3.00 per share. Flour Mills dropped 1.66 per cent to close at N31.35 per share. Nestle shed 0.67 per cent to close at N1,490.00 per share. Nigerian Aviation Handling Company also lost 0.22 per cent to close at N4.49 per share. Further analysis of last week’s transactions indicated that the financial services industry (measured by volume) led the activity chart with 3.417 billion shares valued at N31.649billion traded in 24,375 deals; thus contributing 68.06 per cent to the total equity turnover volume. The conglomerates industry followed with 894.357 million shares worth N2.180billion in 3,032 deals.The third place was occupied by the consumer goods industry with a turnover of 380.493 million shares worth N26.243billion in 7,408 deals. Trading in the top three equities namely – Transnational Corporation of Nigeria Plc, Diamond Bank Plc and FBN Holdings Plc (measured by volume) accounted for 1.975 billion shares worth N7.473billion in 8,549 deals, contributing 39.33 per cent to the total equity turnover volume. Also traded during the week were a total of 777,535 units of Exchange Traded Products (ETPs) valued at N7.689million executed in 15 deals, compared with a total of 305,604 units valued at N3.498million that was transacted last week in eight deals.A total of 6,301 units of Federal Government Bonds valued at N6.298million were traded this week in 12 deals, compared with a total of 2,162 units valued at N2.016million transacted last week in nine deals. About 66 equities appreciated in price during the week, higher than 55 of the previous week, while seven depreciated, lower than 12 equities of the previous week. Also, 99 equities remained unchanged lower than 105 recorded last week. Additional volume of 12,133,646,995 ordinary shares of Union Bank of Nigeria Plc was listed on the daily official list of the Exchange on Friday. These additional shares were as a result of the just-concluded Union Bank of Nigeria Plc rights issue of five new ordinary shares for every seven ordinary shares held as at August 21, 2017. With this listing, the company’s total issued and fully paid-up shares now stand at 29,120,752,788 ordinary shares. Trading in the shares of 7-Up Bottling Company Plc was placed on full suspension on the NSE effective January 12th.The suspension is for the purpose of determining the shareholders, who will qualify to receive the Scheme consideration following the decision of the company’s majority shareholder, Affelka S.A (“Affelka”), to acquire all outstanding and issued shares of 7-Up Bottling Company Plc that are not currently owned by Affelka. 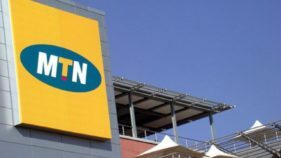 The company’s shareholders passed a resolution to this effect at the court ordered meeting of the company held on Thursday, January 11th. The Scheme will result in the voluntarily delisting of 7-Up Bottling Company Plc from the NSE’s daily official list.